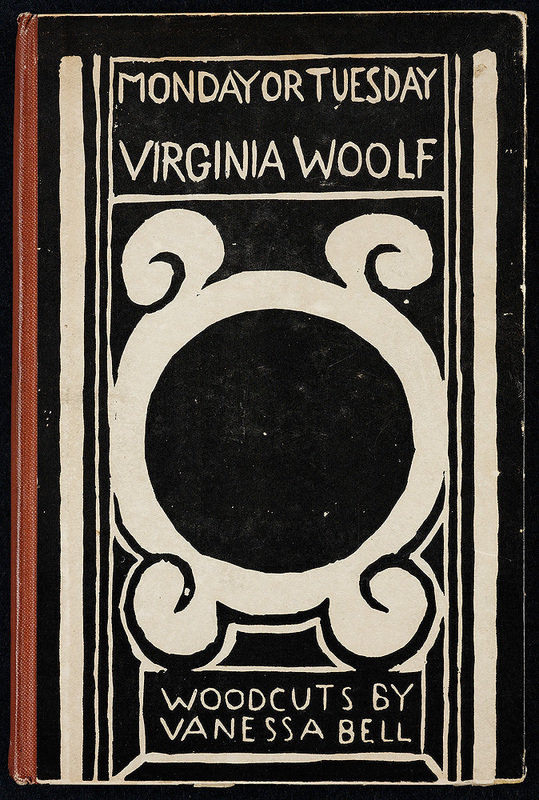 Virginia Woolf. Monday or Tuesday. With woodcuts by Vanessa Bell. Hogarth Press. 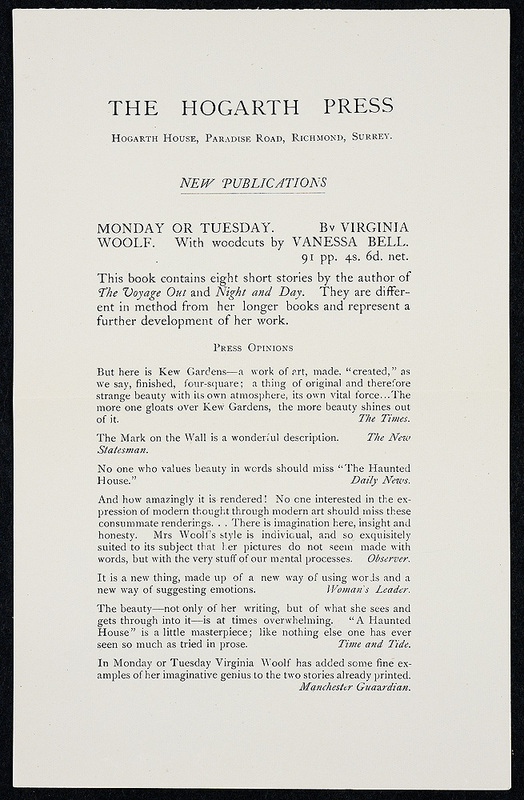 Advertisement for Monday or Tuesday, 1921.